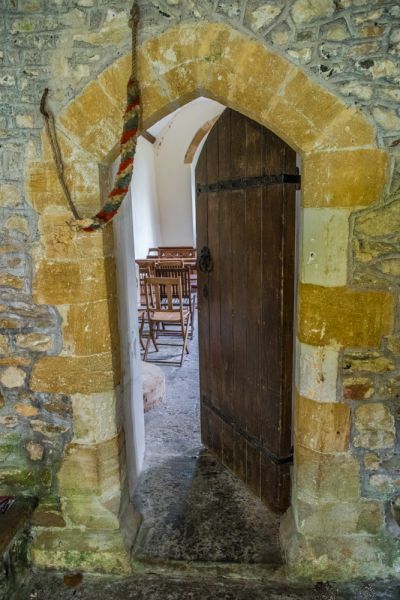 The smallest church in Dorset, and one of the smallest in England, measuring only 30 x 12 feet (roughly 9 x 4 metres). St Edwold's is located in a lovely countryside setting, beside an isolated farm in a wooded valley. There may have been a church here since the 9th century, when a hermit named Edwold lived at nearby Cerne (and possibly here at Stockwood). The current building is primarily a product of the15th century, with a 17th-century porch and an intriguing circular, domed bell turret in classical Georgian style. 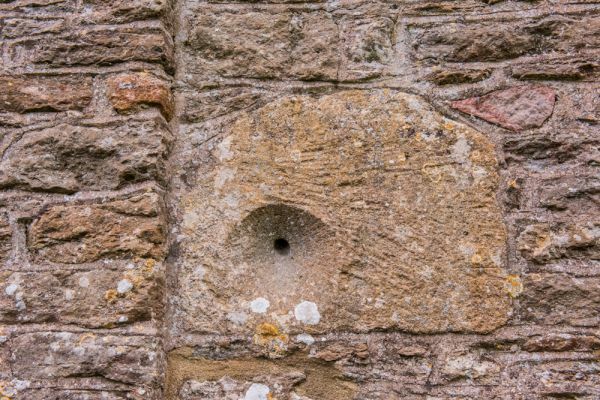 Within the simple, single cell building there is a 17th-century altar table, brought from Whitecombe church, and Victorian altar rails and font. 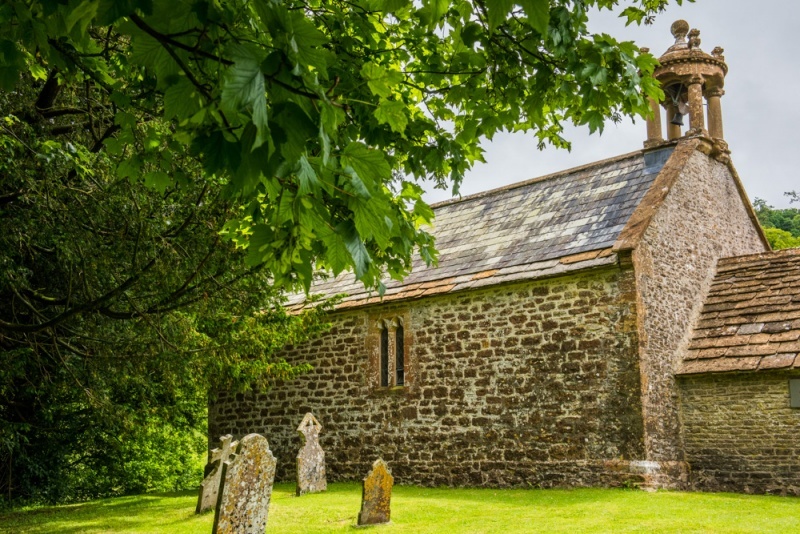 This isolated little church is not in use for regular worship and is cared for by the Churches Conservation Trust. Beware if you rely on the official postcode for satnav directions. My satnav tried to make me drive past the well-marked lane leading to Stockwood. The lane runs south off the minor road to Chetnole, close to its junction with the A37, about 7 miles south of Yeovil. The lane leads downhill to the picturesque farm at Stockwood. 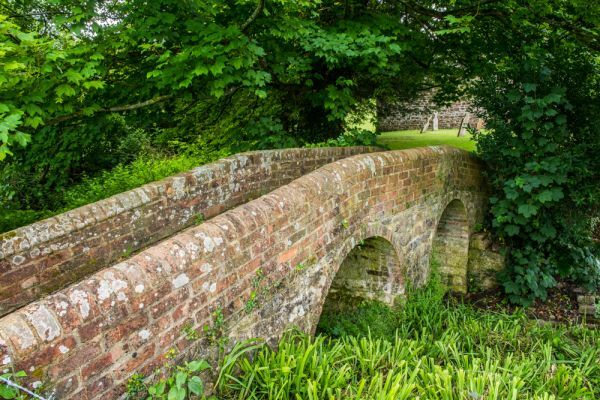 A lovely stone footbridge leads over a small stream to reach the churchyard, which is half-shrouded by large trees. At first glance the church doesn't even look like a church; it is so small hand has only an odd bellcote at the west gable to suggest its ecclesiastical origins. Over the gable is a datestone inscribed with the year 1636 and the initials WR. The church interior is plain and simply furnished, with modern folding chairs arranged on either side of a central aisle. At the east end of the aisle, a raised step marks the transition to the sanctuary, where a simple altar table stands. 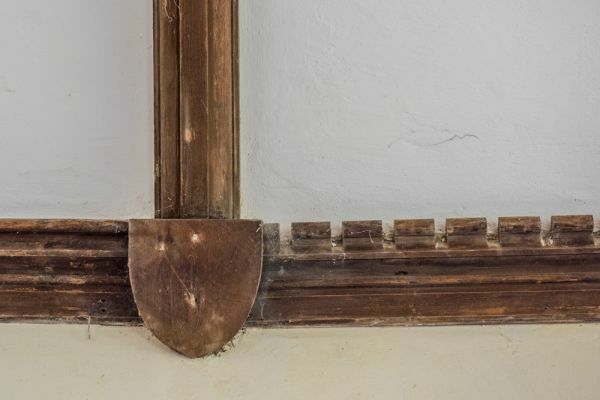 The plain wooden ceiling trim in what passes for the nave gives way to a slightly more elaborate dog-tooth style trim in the sanctuary, with a small shield marking the transition between the two parts of the church. 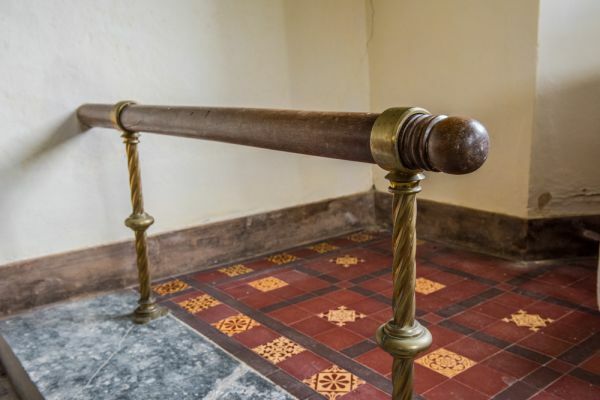 The altar rails are perhaps the most attractive part of the interior furnishings, with twisted brass uprights carrying a circular wooden rail. On the south side of the sanctuary is a small table with a portrait of St Edwold, looking rather like a Russian icon painting. 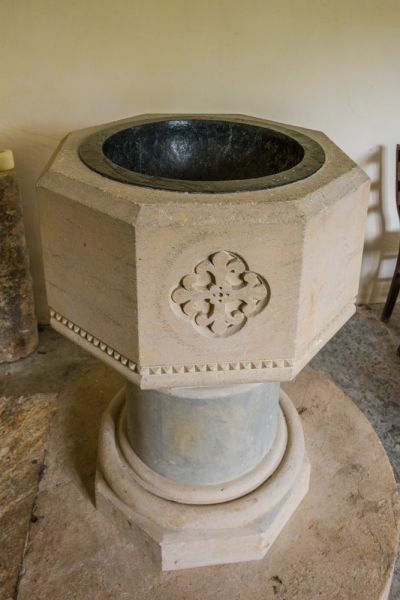 At the east end of the church is the Victorian font, plainly carved save for a Christogram (the letters IHC and a stylised cross, symbolic of the first three letters of the name Jesus in the Greek alphabet). 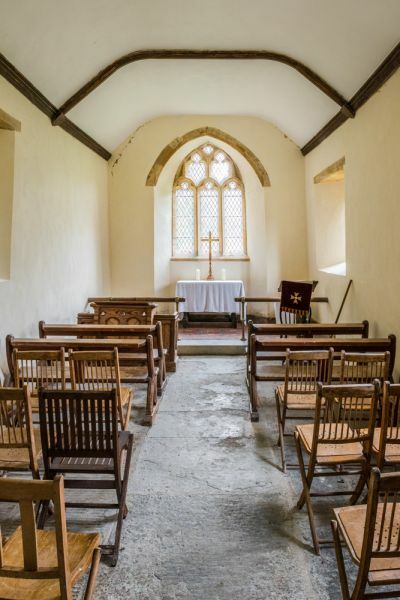 The truly memorable thing about St Edwold's church is not the furnishings, which are few, or the architecture, which is very simple and plain, but the wonderful rural setting.